Sponsored by Mr. Tim and Mrs. Karen Corcoran. 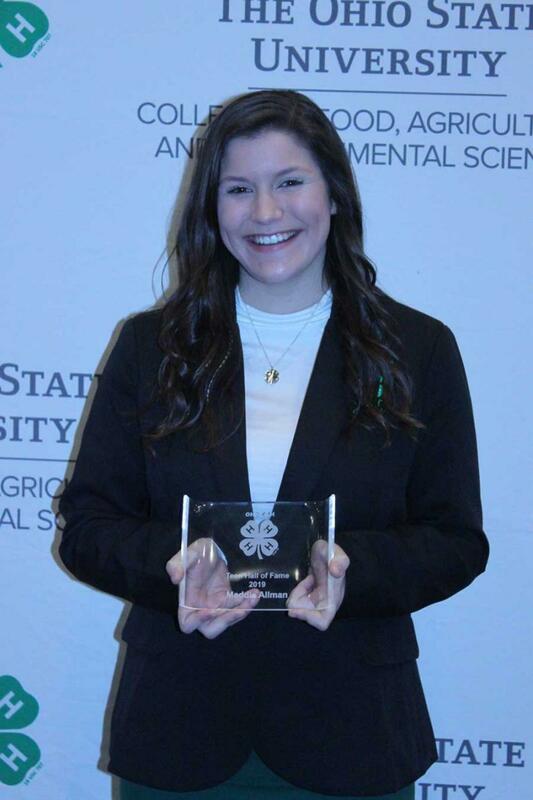 Humble in her achievements and always willing to assist others, Maddie Allman, embraces the spirit of 4-H with dedication to her project work and leadership activities. In Vinton County she is easily recognized for her successful rabbit projects, serving as a camp counselor and community service. The strong connections Maddie created earned her the title of "The 4-H Lady" by a local newspaper. Her influence on younger children and her peers have created a positive ripple effect that will continue well after Maddie's 4-H career concludes. She aspires to become a 4-H educator and is always seeking to "make the best better' through 4-H.
Every youth who encounters Callia Barwick understands they are important and have a purpose, because she searches for ways to include everyone. She influences those around her by putting them first. Callia is dedicated to finding a need in the community, formulating a solution and putting it into action for positive impact. She is a strong advocate for healthy living and promotes physical and mental health wellness in Mahoning County, throughout Ohio and the United States. Callia truly embraces and acts on each of the four H's. Her impact on our state and country is only the beginning of what Callia is yet to accomplish. 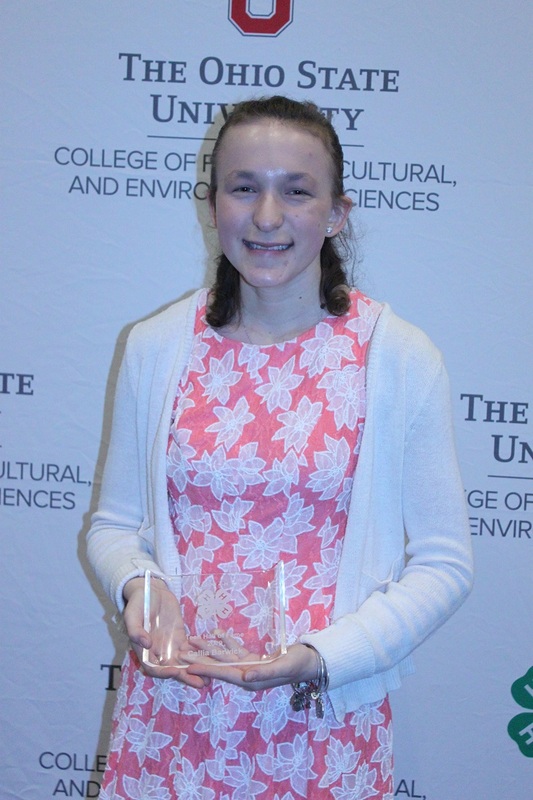 By giving voice to important stories that motivate and initiate change, Emmy Beck-Aden is making a difference in Athens County and the world. She credits 4-H with inspiring her passion for civic engagement and leading her to a future career in filmmaking. Emmy's award-winning documentaries featuring the Ohio 4-H PetPALS program and the issue of food insecurity inspire action to service and advocacy. Her leadership is evident through positions held at the county, state and local level and her enthusiasm is contagious. 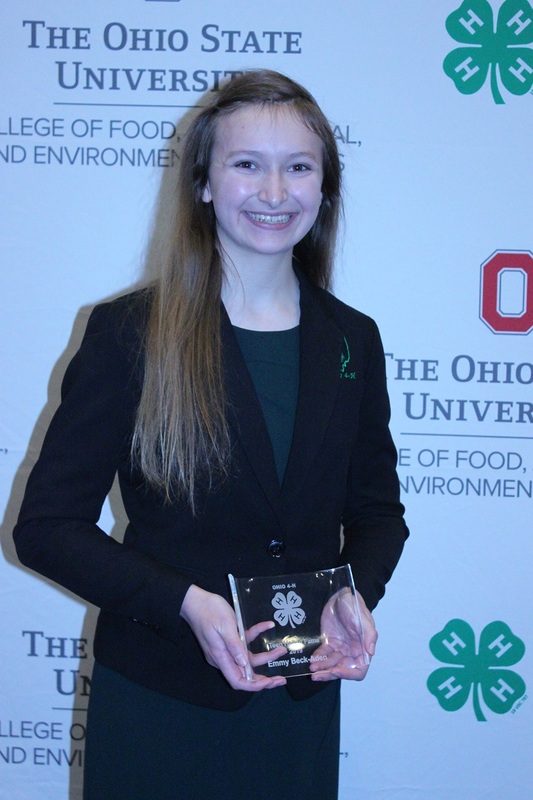 She gives Ohio 4-H a unique voice, telling our story in a way that reaches out to the world. Throughout her 4-H career, Molly Hunt has endeavored to “make the best better." She is a self-motivated, dynamic and energetic individual who is quick to identify a need and then facilitate a course of action. 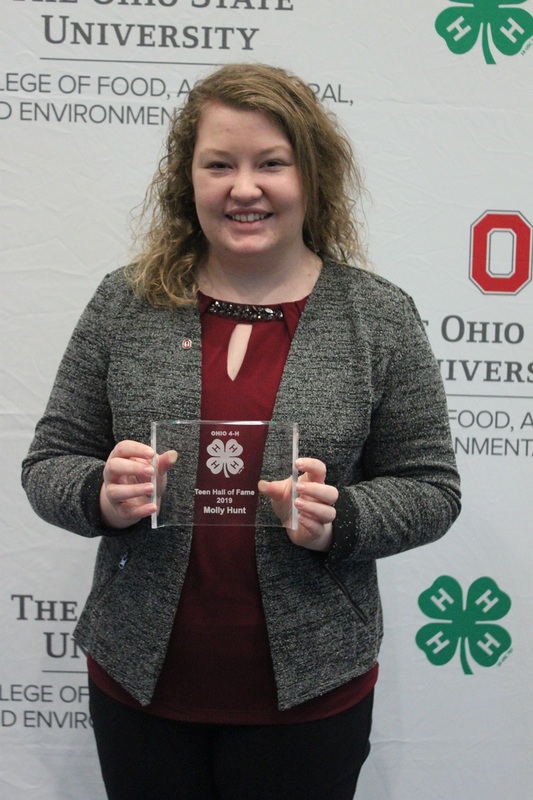 Molly's personal experiences led her to develop 4-H programs in Darke County that empower young girls. She helps younger 4-H members and her peers understand the value and importance of making healthy choices, both physically and mentally. With her passion and dedication to the 4-H program, Molly is an outstanding role model for younger 4-H members and a true 4-H leader. Positive leadership and service to others are the hallmarks of Morgan McCutcheon's 4-H career. She used her final year in 4-H to pay it forward, sharing her time and expertise to make a positive impact on those around her. In Licking County and throughout the state she encouraged all 4-H members to get involved by attending camp, serving as a club officer, taking on leadership roles as a counselor, junior fair board member or 4-H CARTEENS facilitator. 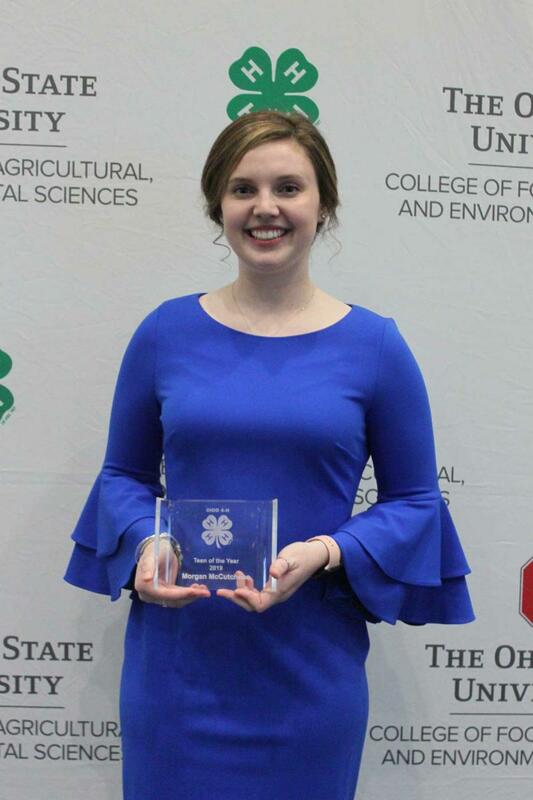 Morgan was selected as the 2018 Ohio Fairs' Queen and used social media to promote 4-H and the impact 4-H members have in Ohio. Morgan is an outstanding example of the potential in today's youth leaders.